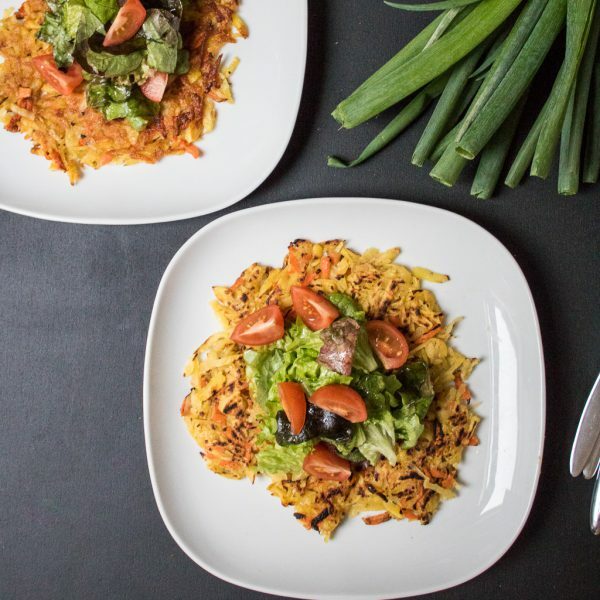 Rösti is a simple, mouth-watering Swiss dish, which consists mainly potatoes. 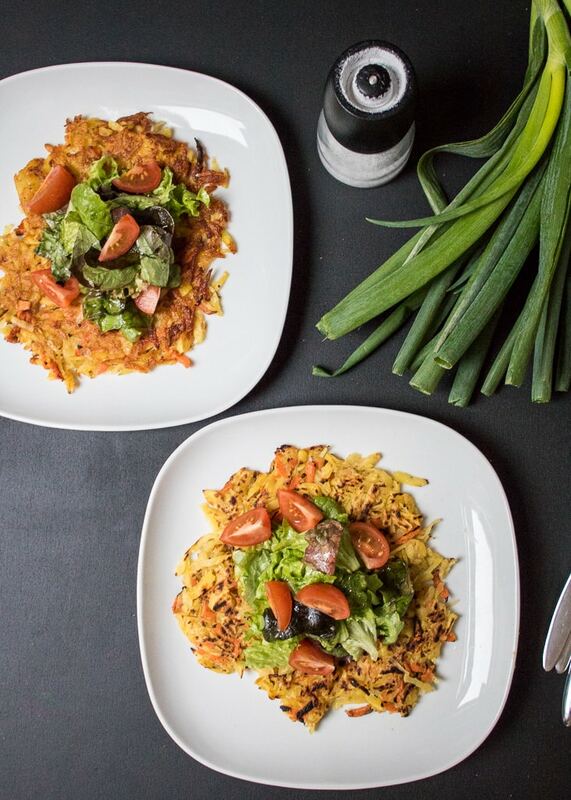 This is a basic recipe for vegan rösti, but if you’re not vegan and have no issues with having cheese you can add some cheese if you’d like to. I used carrots in the potato mixture for a little color and served with a mix of fresh leafy greens. Peel and grate the potatoes and the carrot. Add salt and leave for 5-10 minutes until the water separates. Squeeze the excess water out of the potatoes, using a big strainer. Another easy way to strain off shredded potatoes is by wrapping them in a kitchen cloth and squeezing. Add black pepper, chickpea flour, nutmeg and mix together. Heat 2 tbs olive oil in a frying pan, add half of the potato mixture and press down. 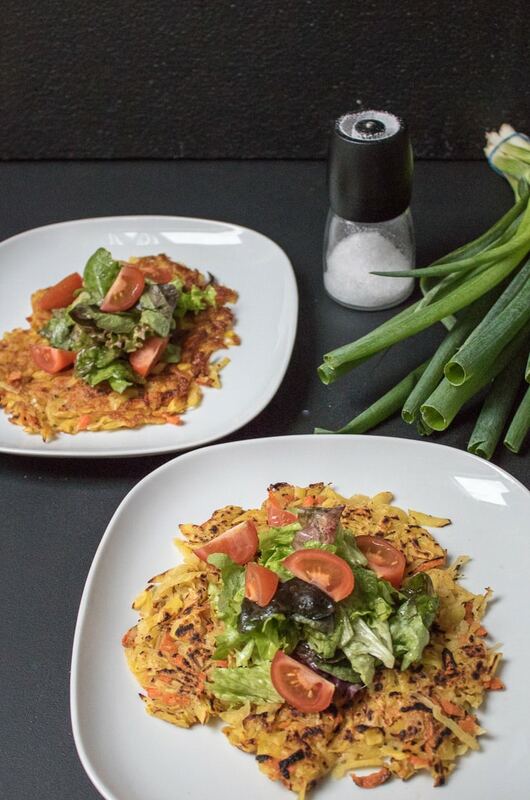 I make two big röstis with the size of the pan I’m using, but if you’re not sure you’ll be able to flip them or you don’t have a suitable spatula, I suggest you make them small-sized and use the potato to make 4 röstis. Fry on both sides until golden.